All by myself. For reals, internet. At the rate I’m going, gummy bears will cease to exist in the next few weeks. I don’t know why, but I have a big big big weakness for the little sugary molded gelatin boogers. I love them. I wish I had some right now. I know it’s only 9:30 in the morning but that’d be a great pick me up. Maybe not so great with coffee, but I’d deal with it. And I wouldn’t have to really share. Because there are only two other people in the office right now. Thanks to snow and the fact that the city doesn’t function when there’s more than 4″ on the ground. But like I said last week, I don’t mind driving in the snow. Now ice, that’s a different story. But if there were gummy bears in the car, I’d suffer through the iceskating down streets to be with them. 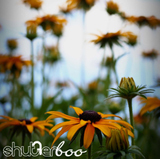 ~ by shutterboo on February 9, 2010. 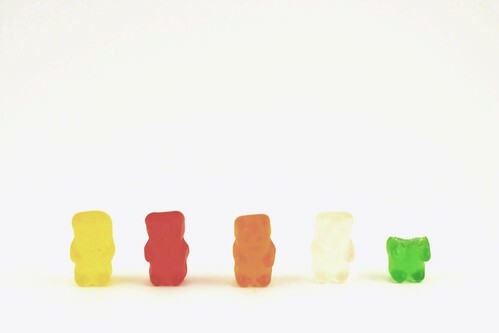 Oh, I love me some gummy bears. I just don’t buy them anymore because if I do? Gone. All of ’em. Down the hatch. Great. Now I want some. Ditto. But it could not be prevented this weekend. Or today. And likely not tomorrow. i’m sorry, but i can’t get over how freaking cute that picture is. gummy bears in a lightbox. perfect combination. The perfect part was consuming them when I was done. Muwahahaha! This is my favorite picture ever. ever. ever. I LOVE IT.